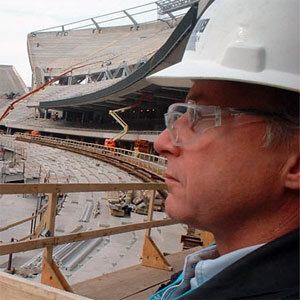 Mark Meshulam is an expert witness and consultant for windows, glazing and building exteriors. Your intrepid Chicago Window Expert ventured West to San Francisco to InterSolar to get the latest scoop on solar energy. Large mockups are usually outside, and they are built in all seasons. These men are preparing a mockup in high winds and very cold weather. But the flag is inspiring them to forge on.